I've had quite the journey with my podcast. 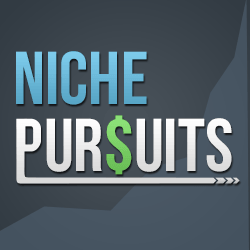 I started recording the Niche Pursuits Podcast on April 23rd, 2012. I'll be honest, that I didn't put a lot of thought or effort into recording my podcast. I started publishing a podcast simply because it was something that other people were having success with and felt like was a natural extension of my blog. I thought if it could bring a few new readers to my blog, then great! I had no publishing schedule. I had no grand vision. I don't even think I had a good microphone. But I did have a professional voice-over from Fiverr!! So, that should make up for everything…right? Despite my lack of vision and effort, my podcast did…okay. A few months ago, I started debating whether I should even continue my podcast. I unintentionally started a hot debate about whether or not people should start a podcast with that post. In fact, I got an epic 2 hour tongue lashing from the mighty Cliff Ravenscraft on his podcast on why I was wrong. Cliff can be very convincing with his level headed statements, witting banter, and hug-able personality. As a result, I decided to not only continue recording my podcast, but to get on a WEEKLY schedule! I began with renewed vigor recording my podcast starting on May 9th, 2014 with Episode 28. Through the end of October, I have now released a podcast each week for the past 22 weeks and reached my 50th episode overall. I want to take moment to pat myself on the back for that accomplishment of 22 weeks! You have not idea what a monumental task that is until you realize most of that was during the summer when I had all 4 children at home rather than in school. I released podcasts while we were on vacation. I had to shew my family away and lock them out of the house (but only if my wife gave me permission 🙂 ). In fact, there were a few moments that live recording had to be stopped and edited out due to “family” circumstances. So, after releasing an episode for 22 straight weeks, was it worth it? Did my audience grow? What was the overall impact on my business? Today, I'm going to dive into the stats and of course share my thoughts on what happened in my business after I started recording my podcast on a weekly basis. I have plenty of number to share today, so straighten your bifocals and tighten those suspenders because it's about to get nerdy up in here. As mentioned, I released a new podcast episode for 22 weeks from May 9th to October 28th. This will be important to remember as we start looking at the numbers. 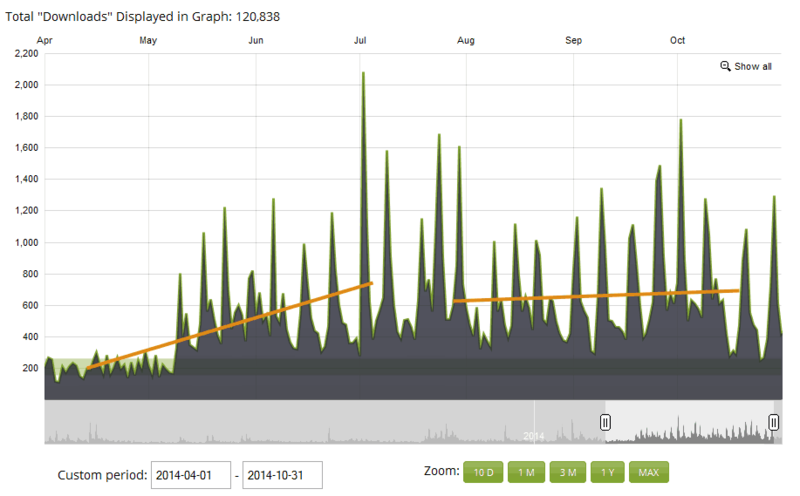 First, let's look at how many downloads the Niche Pursuits podcast was getting before May 2014. As you can see from the trend lines, my podcast was indeed growing at a slow rate for the first 2 years of its existence. 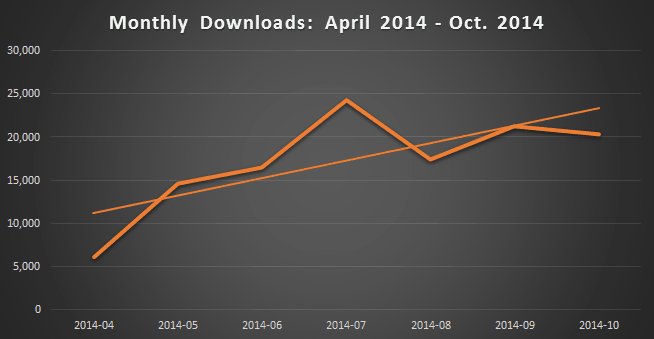 Overall, the average number of downloads per month I was achieving from April 2012 to April 2014 was 7,626. This is either really impressive or not impressive at all depending on who you talk to or compare to. Let's just say it hadn't changed my life yet. Now let's take a look at my downloads after I started publishing a weekly podcast starting in April 2014. I left the stats from April 2014 in the above screenshot to show the increase that started when I began the weekly episodes. 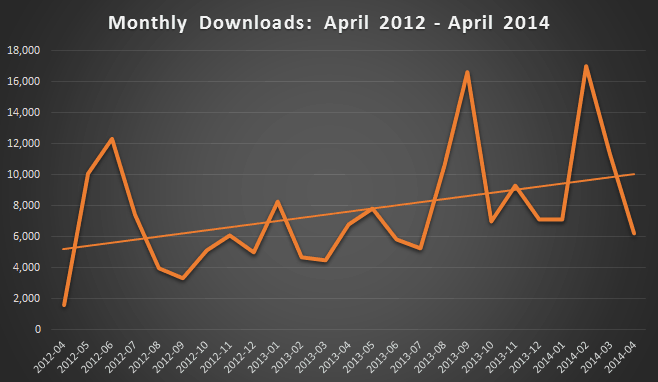 As you can see, clearly the number of downloads have increased significantly. I wouldn't call it a mind blowing increase, but still a nice increase for sure in downloads and listens. So, I'm now getting over 2.5 times as many downloads per month as I was before! Now, let me show you the entire stats from beginning to end to give you a clearer picture of what is going on. You can clearly see the permanently increase that came after May 2014 when I started releasing the weekly episodes. Overall, the number of downloads are way up and significantly so since I started releasing a weekly episode. However, as you may have guessed, I want to dig a bit deeper about what this all means. I'm a numbers guy, and I want the numbers to tell me how the podcast is impacting my business. As I mentioned 6 months ago in my why you should not start a podcast post, it's not easy to get a direct correlation between podcast downloads and business income. Did the traffic to NichePursuits.com increase? No. 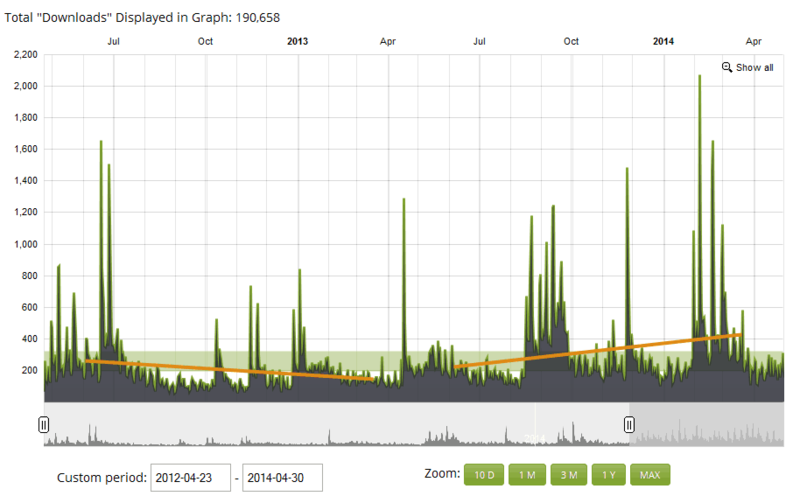 Overall, I have not noticed any increased traffic to my blog due to my podcast. In fact, my traffic has been fairly consistent for the past several months (I should probably try harder to improve that…). I included March and April 2014 to show a couple months before the weekly podcast. The amount of visitors to NichePursuits.com has been about the same every month. September did see an usual spike in traffic to my blog. But that was directly due to the blog post I wrote about PBNs, which gained quite a bit of popularity and mentions. Did I make more sales of Long Tail Pro or anything else? No. The short answer is no. I have not seen any impact on the bottom line of my business due to increased sales of Long Tail Pro or anything else that I can tie to my increased podcast downloads. The traffic to LongTailPro.com has been fairly consistent as well with no increase due to my podcast. Did my podcast jump in the rankings on iTunes? No. I don't have the exact ranking of my podcast on the management and marketing Itunes page; however, I know from memory that it was ranked around position 155 or so. Now my podcast is ranked 142 on that page (as of today). So, I've moved up 10 or 15 spots, but I wouldn't call it a jump in the rankings. Did it Improve My Business? However, I've continued to realize more and more that a podcast audience is very different than a blog audience. Some people may never read my blog that listen to my podcast all the time. Podcast statistics and conversions are just harder to track by nature. In fact, I may never know how many sales I can tie back to my podcast or how many email subscribers I gained from the recordings. One thing that having a podcast is definitely good for is networking and building relationships with readers. Because I have a podcast, I can reach out to virtually anyone and ask to interview them (like Neil Patel and Rank Fishkin). They almost always say yes. This is a less tangible results usually. So far I've networked with some great people and learned from them by asking whatever business question I want. I don't see sales directly from these…just yet. Depending on the relationship, these are people that I may stay in touch with and eventually do a business deal with. I was able to meet up with Jordan Harbinger from the Art of Charm at Rhodium Weekend a few weeks ago, and he spoke on the power and importance of networking in business. I agree, that tremendous things can happen when connecting and building real relationships with people. This is one of the biggest tangible benefits of running a podcast for me. The second positive impact is allows listeners to get to know me better; which builds trust. Again, there is no trust meter out there for me to look at, so it's tough to know if I'm building better relationships with my audience. However, I do know that many people are listening to my entire episodes which last up to an hour sometimes. This is much more time than people spend on my blog on average (a few minutes usually). Again, its somewhat of a soft metric, but I know that people are listening to me for longer periods and that builds trust. In addition, I have heard back from several people both in person and via email that have stated that they either found me through my podcast or thoroughly enjoy my podcast and hope that I keep it up. So, these are some great benefits and perhaps enough for me to carry on. However, am I crazy to wonder, Is a weekly podcast still worth it? 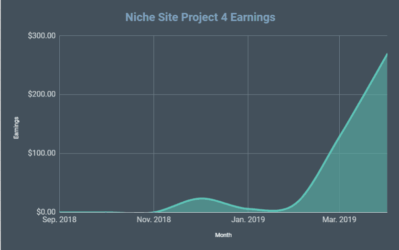 Perhaps my overarching flaw has always been to think that having a podcast would increase the traffic to my blog or increase the overall sales of my core business. At this point, I can't point to any stats that show me that my income has increased due to my podcast. I can point to increased downloads and clearly people are enjoying the podcast. I can point to additional relationships built with both industry leaders and my audience. But the stats junkie in me is struggling to see the direct impact to my business. Don't get me wrong though, I DO believe that the podcast is building my overall personal brand. I do think that overall the long term impact on how people view me and my personal brand has been greatly enhanced by having my podcast. However, if I start to think about my podcast as a separate entity from my blog; perhaps that is the more interesting discussion. First of all, I'm fairly convinced that the die hard podcast subscriber is a different audience than the die hard blog reader. I have 2 audiences. Yes, there is some overlap…but I think its a healthy discussion to think about them separately. When I start to think about them as 2 audiences, then I realize that I've actually asked my podcast audience to do very little. I usually mention my blog at the beginning of the podcast, but I rarely ask them to take any kind of action. I have no calls to action for my own products. I have no advertisements or sponsorships in the podcast. I haven't asked my podcast audience to really do anything! After all, when you look at some of the bigger podcasts in my niche like Entrepreneur on Fire, Ask Pat, or Mixergy they are monetizing the podcasts with sponsorships. Perhaps I should be doing the same thing if I want to see a direct impact on my bottom line with this part of my business. As you can see, after 2 years of running my podcast, I'm still not 100% sure how it fits into my business or even if its had a significant impact on my business at all. I have plenty of indirect evidence that it has led to more business from emails, blog comments, and others that I've talked to; but unfortunately, these “sales” don't really show up in any statistics that I can check. At the end of the day, I'm extremely pleased that my downloads numbers have increased since I start doing a weekly podcast, now I just need to figure out what to do with all the additional listeners. As you can see, I actually took last week off from releasing a podcast episode. After 22 straight weeks, I decided to take a break and do some analysis on what the impact has been. Now that I've analyzed the numbers and shared those results with you, I will indeed continue on with my podcast. Will I release a weekly episode? Probably a good portion of the time; however, I'm going to feel free to take weeks off whenever I need a breather. 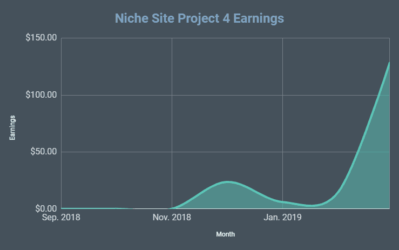 If I start to see some real earnings or other stats that show me the podcast is increasing my bottom line, then I will get even more ambitious about doing weekly episodes. I can now clearly see that I have a large podcast audience, and they are different from my blog audience. The podcast is a standalone business in a way; and if I want to make money from it, I need to change my approach. Because of this, I will start exploring sponsorships, advertisements, or other ways to monetize my podcast. This will be an ongoing experiment. This may be as simple as doing a better job of trying to direct people to my email list or blog. Or it could be more involved such as offering special discounts on products or booking sponsorships for the show. Right now the stats are telling me that my podcast is growing; but it's not directly impacting the success of my business. Yes, perhaps it IS impacting my business in a big way with higher trust and relationships I've built; however, I have very little hard evidence that I can point to that proves that is the case. Overall, the Niche Pursuits podcast will carry on! The stats are telling me that I'm doing something right, but perhaps I need to pivot slightly to make the impact greater. I share all these stats and my open internal thoughts to hopefully benefit you. I'm a real person that struggles with many of the same issues that you may be having in your business. Both of us need to decide where our time is best spent and what is having the greatest impact in our business. I struggle with those questions just like everyone else. I'd love to hear any thoughts, comments, or questions that you might have below. Great thoughts Spencer. I have recently started a podcast after much diliberation. For me it was a good way to stick out in a market that is currently not represented well on iTunes and Stitcher. So I thought it would be a good way to get some eyes on my new brand. I started the podcast along with a YouTube channel. At the moment I am getting FAR more people checking out the podcast than the videos. I also like the podcast because I can produce short (15min) episodes quickly. By viewing the number of downloads it gives me a clear metric on what my audience is interested in and helps me figure out future content for the blog. One thing that I have also done is to create a simple/helpful download that listeners can get by visiting the blog of a redirect custom domain name. This have lead to a very rapid list growth and helps me get some value out of creating the podcast until I have the volume to monitize the podcast itself. Thanks for the numbers! I look forward to future episodes. Congrats on the nice success with your podcast, Jon. Always enjoy hearing updates on your business. Perhaps I need to try more custom offers in my podcast to see better results. As for me, I do not care for podcasts. I like to read my posts. Spencer, if you replaced posts by podcasts, were there any dropoffs in the traffice to the site? I do believe that the bulk of your work(posts) on the site will continue to bring traffic in, but if podcasts are the majority, you are going to see a drop. Thanks for the great work. I really enjoy your posts. Posts are definitely bringing in the traffic, not podcasts. Spence-dawg… can I call you that?!?!? I’m an accountant with an interest in digital marketing. So I’m a numbers guy too. And the phrase that comes to mind immediately after reading this post is OPPORTUNITY COST. You have to consider your opportunity cost for doing this podcast. The opportunity cost(s) is the thing(s) that you give up when you spend time or money on something. In this case you’re spending time on podcasting. Add up all the hours you’ve spend recording podcasts, posting them, chasing down interviews. Add up all those hours. I assume it’s a significant amount. If you had those hours back, how many value-adding posts could you have written for Niche Pursuits? How many new authority sites could you have started? How many new training videos could you have done on Long Tail Pro? How many “coaching hours” could you have charged for if you started a one on one consulting business? All those things would have put money directly in your pocket. In non-money terms… think of all the time you could have spent on non-business things like reading, watching movies, cooking, whatever. Is podcasting worth your time? Your answer is in the opportunity costs… you have to look at what you’re giving up in order to podcast. From what I’ve seen, the main way to monetize a podcast is with sponsorship. And the only way you get sponsorship is if you get enough downloads. I recommend considering an “Ask Spencer” show where you do the “ask the host a question” show format. One question per show. 5 to 15 minute shows. One show every weekday. You have A LOT of knowledge when it comes to online marketing, blogging, SEO, link building, and all this stuff. And your audience wants that knowledge. So give it to them! And lots of your blog readers who don’t have an hour a week to listen to your show… like me… we would listen to 5 to 10 minute shows that we knew would answer a question we had. Also, I’m not a fan guests I don’t know… they’re not worth an hour of my time. I’m a fan of YOU! And I think a lot of your blog readers would listen to a only-Spencer-only-advice show. With a daily show, every week day that is, that’s 20 shows a month instead of 4. That’s 5x the download count each month that you get just from changing the format. Set up a system like Pat Flynn has where people call in, ask their question in a voicemail type of thing, hire an assistant or use Perrin to edit and post the shows, and all you have to do is record your answer. Batch your “answer sessions” together and send your assistant your audio files once a week. That’s what Pat Flynn does. Or, just answer email questions you get and skip the “listener calls in” thing. Literally the only time you’d spend on your podcast is answering 20 questions a month. And you could batch your answer sessions into 2 to 4 a month. 5 to 15 minutes an answer. On the high end that’s 300 minutes a month (20 shows times 15 minutes). If you could sell $5,000 worth of sponsorship a month, that’s a $1,000/hour rate for your time each month, before the expense of hiring an assistant. Even if you just sell $1,000/month that’s still $200/hour. Not bad. I whole-heartedly approve of a ‘Ask Spencer’ or ‘Ask Perrin’ format of micro-podcasts. I bet you can bulk those out for 30-50 episodes over a weekend, and then have 1-2 months of daily content if needed…or, take a week and nail a quarter or more of episodes. “Ask Spencer AND Perrin” – same amount of questions as Ask Pat, twice as many answers. Touché! So, the answer to the opportunity costs of doing a weekly podcast is to do a DAILY podcast? I see your point about each podcast being shorter to record, so perhaps the amount of time overall would indeed be less. I thought you were going to say to eliminate that opportunity cost, stop podcasting and start doing something that you already know works (like blogging). The daily format of answering questions is indeed intriguing, and I actually think I’d enjoy it more (not sure though). However, before I jump into something like that, I should probably see if I can get any better results from my podcast as is by trying to monetize better. -You can structure it where the ONLY thing you do is answer 20 questions a month for an average of 10 minutes a a question. That’s 200 minutes a month. -You can batch your answer sessions together and knock out 10 at a time. That’s about an hour and a half session, twice a month. -The answers will all be stuff you’re already an expert in, so no need to prep in general. Also, I forgot to add to my comment… yes, the other option is to just not podcast and instead focus your precious time on your core strengths. Instead of spending time on a “maybe” like podcasting, you could spend that time on more “sure things” where you know you have a high probability of earning money. Spencer you are a business. And businesses need to focus on their core competencies. Nike hasn’t started a sports league just because it makes sports clothing. McDonald’s doesn’t cater just because they sell food. Nothing wrong with not podcasting in my opinion. PS – The Ask show could be one day a week, three days a week, whatever. Great thoughts…definitely gives me something to think about. Love being able to bounce ideas around and get great responses like this…thanks! That’s a great idea Jason. It sounds similar to ask pat. Spencer could create a section on the blog where people could ask a question they’d like to have answered as a way to (potentially get more people to the website and increase traffic/visitors and engagement, or you could create some sort of tie back that would get people to visit your blog/product. Maybe a time sensitive discount code (5% – 10% or so) to long tail pro that’s only good for 24 – 48 hours for the first 10 people. Listeners would have to wait until you mention it at some point in the podcast. That might increase conversions of long tail pro and visitors as well as get more listeners to join your podcast. Just a suggestion but i know you’ve been at this for years and have a lot more experience at it then me. Keep up the great work Spencer. You’ve helped me a lot in my own online business so if there’s anything I can do to help please let me know. Hi Spencer, Great post as usual. After reading the post and seeing that you haven’t seen much of an uptick (if any) in regards to traffic or sales of long tail pro I am interested in knowing what has been your biggest ROI in terms of traffic to this website and what specifically has had the largest impact on sales for Long Tail pro? It’s great to get your perspective on these things as they can have a great impact on how I and other online business entrepreneurs take steps to improve our conversion goals and bottom line. The biggest ROI have been the case studies on this blog. 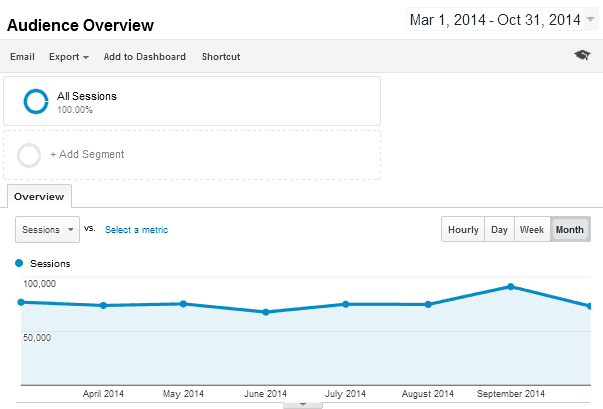 My tutorial posts and case study posts have driven lots of traffic to my blog and then on to sales of Long Tail Pro. I’ve also received mentions and affiliate relationships on other popular blogs as a direct results of these tutorials and case studies. I can track how my blog readers are then going on to trial long tail pro and eventually purchase. Blogging and content marketing have been significant in terms of ROI for my business. Thanks for numbers and I think you should get sponsors for your podcasts or/and say couple words about your own product. I know Pat Flynn does it and get good cut from sponsors. And ads doesn’t bother me at all in his podcasts, I just check them up because every single advertisement is potential business idea. Podcast make this site for me and without them I wouldnt have paid 4 2 of ur big products. So they make u money spencer I am proof of that. Keep going they r really good. Good to know. I just wish there was a better way for me to see someone like you show up in my stats. And thank you!! You mentioned that people stay longer on the podcast post. If they are on the page longer, are you seeing an increased interactivity with your sidebar items e.g a higher percentage of clicks on your tools and popular posts. I was actually quite surprised when you made a pop out podcast player. To clarify, I was simply stating that people that listen to podcasts, listen longer…most of the listens come from iTunes. Meaning many and maybe even most of my podcast listeners have never even been to NichePursuits.com. (I don’t think that’s true, but its possible). I actually didn’t check what the average time on my podcast pages are compared to normal post pages…until after your comment :). So, I just checked my stats. Overall, the average time on page across my entire site is about 2mins. 40 seconds. I then filtered to only look at pages with the word “podcast” in the URL. Its not perfect, but most of those posts are my podcast posts. Surprising, these pages only average 2 mins and 31 seconds. So, people coming to my podcast pages actually spend LESS time on my site than my average visitor. This probably just re-emphasizes the fact that blog readers aren’t the most likely people to listen to my podcast; and my podcast listeners (mostly on itunes) are not the most likely people to read my blog. They are separate audiences. If it helps – I keep coming back for the podcast posts. I don’t bother with iTunes etc., as I don’t actually listen to any other podcasts than yours, currently. So, I just use your in-page player. People often listen to podcasts when they are commuting to work or working out or doing other things at the same time. That’s why people often forget about the things they heard on the podcast. So I think if you include some sort of CTAs or incentives to make them open your site and act on it immediately, that’d increase your traffic and bottom like. To me, listening to podcast is more like entertaining than actually learning new practical stuff. I found Pat on iTunes in 2009, heard about LTP from his podcasts but didn’t trust your product until I listened to your own podcasts. Hearing your voice helps build your reputation as an authority in the market and an increase of trust. Since you’ve gone weekly I’ve subbed to your email list, although I never read your blog posts unless I see your email. Even then, I can see your entire post in the email, so unless I want to read comments I very rarely have to click through to your site. I wonder the conversion difference between readers and listeners – how many of your readers are subbed onto your mailing list vs listeners who become subscribers on iTunes. I can imagine it’s hard to put numbers down for a return on investment, perhaps your right to consider a Call to Action to try and get a reaction from your listeners like you did from me. I 100% agree and do realize that the podcast is helping me build trust. That’s why I plan on continuing with the podcast. I just found it interesting that despite the significant growth in my podcast numbers over the past 6 months, I’ve see no uptick in traffic, sales, email subscribers, or any other business metric I can see. 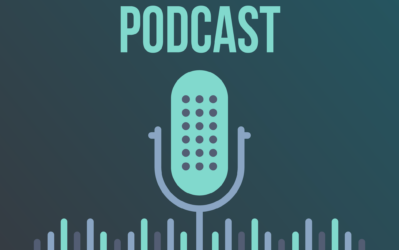 Podcasts are great for developing trust based on two things…… it is more personal than the printed blog article, and the interaction you have with some recognized leaders, builds credibility for all. Thanks Spencer.! You always provide great insights for your readers. Absolutely, the building of trust is huge and shouldn’t be discounted. You might think of doing something about the new site, slowly introduce it to build the initial traffic. Your podcasts are great spencer I am glad they are continuing. When I have a back log of podcasts to listen to I prioritize yours first. I am completely up to date with yours actually. I like your choice of guests and the way you extract very useful information out of them. Thanks Sara…glad you enjoy the podcast! I spend a lot of time in the car driving from place to place and your Podcast with Perrin is something i look forward too. I’ll be honest i’m not a massive fan of reading, i have very little time to read any blog posts, but i will refer to them if the Podcast references a post that takes my interest. As a direct result of your Podcast i have gone on to purchase Longtail Pro and have recommended it to a friend who has just started his internet journey. Without this Podcast i would almost certainly of purchased Market Samurai or some other keyword tool. It may not seem like it from your data, but this is one customer who is a customer as a direct result of the Podcast. Awesome, thanks for sharing your insights! And so glad you enjoy the podcast…thank you. First off, congratulation on your new site design. It looks fantastic. And secondly, Epic article! You here a lot about using social media, etc to bring people to your blog. But, as your figures clearly show, there is a definite disconnect between different platforms. I’ve experienced this on a much smaller scale with my YouTube channel and my blog. YouTube views don’t necessarily convert to blog views and vice versa. Its fair to say that we could do more to create a complimentary relationship between the two but I think there is point where you have to accept that different platforms results in different users and different requirements. With that in mind, I think you are right to see both your blog and podcast as separate entities which require separate strategies. Keep up the good work and thanks for sharing your stats and knowledge. Have you considered posting show transcripts? Would that be like blog posts? I do post my “show notes” which tends to be a fairly lengthy blog post with the general questions and answers. I may just do a straight transcript in the future though. I’m one of the opposites, I found you through your podcast then became a reader of the blog. Both are great but I have to say I like the podcast better and don’t think I would be reading the blog if i hadn’t gotten to know you via the podcast. I mainly like how info comes from both you and Perrin simultaneously on the podcast and gives you guys the ability to further expand on different topics. I also prefer to take in the content while I’m on the go rather than sitting in front of a computer reading, makes me feel like I’m multitasking. I hope you don’t take too many weeks off because your podcast is the one I look forward to the most during the week of all my subscriptions. Hope this feedback helps. The next podcast will be live early next week! Thanks Louie. Awesome post Spencer. I don’t have a podcast, but have always been intrigued by a weekly podcast. I’m a fan of your podcast, Cliff’s, and others as well. I also love to analyze numbers, so this is right down my alley. It seems to me the correlation of traffic to sales is between your product and also your call to action. Your product is a highly specific software. If your product was a $2 ebook, maybe you would have more sales? Not sure, but loved the analysis. Brand loyalty! Your podcast makes your followers feel like they know you. That creates loyalty to you and your brand. This gives you persuasive power over your fans decision making process. True. Even though it may not show up specifically in my numbers, the brand loyalty and trust can’t be discounted. I’m a stats junkie as well so I liked the info. My first thought when you said you didn’t see a major impact from to your blog or business from switching to a weekly podcast was . “What kind of advertising or calls to actions is he doing in his podcast”. which you later answered. I literally just started my new site a week ago and will be doing a podcast as well, I’ll take this information into account. It would be cool if you did an update to this post later in the future after you’ve started monetizing and putting more calls to action in your podcasts to see the difference. Yes, I’ll plan on doing an update post in the future. Thanks! Another great post Spencer, as always. I was one of those people that wrote to you and told you that I really enjoyed your podcast, moreso than even the likes of SPI or EOF. While 22 weeks is a long time (especially with a wife and 4 children), I don’t think it’s necessarily long enough to really get yourself out there. You’ve only been focusing on your podcast for 22 weeks whereas someone like John Lee Dumas is so laser-focused on JUST his podcast and makes it a point to release a new episode every day…and he’s been at it for what? Two to three years? He’s also from Maine…aww yeah! I can’t say that I know anything about podcasting, but I do believe if you keep at something long enough, it will eventually become successful (in your case, your podcast IS REALLY GOOD). It’s also how I found about you, and I’m sure many others as well. It sounds like you may not be seeing a fast return on your invested time and are possibly hitting a wall? I may be interpreting this incorrectly, but I hope that’s not the case because I certainly check in for new episodes and so do thousands of others. I also tell other people who want to make money online about your site/podcast. I think the addition of Perrin has a major boost because you have sort of the, expert/fresh off being a newbie thing going, so you guys really know what questions to ask for your target audience. I really like what you guys do and I know everyone else does. I think you are real and down to earth. I dislike EOF because it’s so heavily overproduced and phoney. I stopped listening to SPI because I felt like it started going around in circles just a bit, but for some reason, whenever I’d listen to NP, I felt like the episodes were made for me. Like, “Yes, finally someone who is asking the questions/sharing real, actionable knowledge!”. Keep hustling and remember that there are a lot of people who love your podcast. Thanks Ian for your feedback! So great to hear people enjoy the podcast so much. And yes, part of me is of course hitting a wall after 2.5 years of podcast (22 weeks of that weekly episodes)…but I haven’t put in near the effort that I could. I just have to decide whats the right balance of effort that still gives me time to run my “real” business of my authority project, this blog, and of course Long Tail Pro. The podcast from you and Perrin is one thing that I definitely look forward to during the week. To be brutally honest I’ve been on your email list for a long time and with my busy life (demanding job, family, 2 young kids, my own niche site pursuits) I may see an email fly through my box and I try to read it and check out what you guys going on but it doesn’t always happen. The podcast on the other hand auto downloads to my phone and usually I listen while crunching numbers at work. I listen every week… usually the things you guys are discussing hit at home and it drives me back to the blog to check out the written analysis and yes… it motivates me to bump up my Longtail Pro to Platinum for the bursts of my slow months (I’m a CPA so there is definitely BOOM seasons and I never get any time) to rock out my keyword research for the upcoming months. I think the short form show is a great idea too…. different than Ask Pat too in the sense it would be more focused than just online business. Yep, you are the exact kind of person that benefits from the podcast. Thanks for reminding me of you and others in your situation. This definitely helps. 2. At the top of the show notes (which in your case is a lengthy summary as you wrote above) add an area with all the links mentioned in the episode first, including affiliate links and links to the LTP sales page. The niche pursuit podcast is one of the few that I actually make sure I listen to. I started out in ecommerce sites, got burned out and switched to niche then authority sites in the running niche. As a running coach I launched the marathon training podcast which was highly successful in number of download but I also did not see much translation over to my coaching business. Earlier this year I took it down and rebranded a new one called RunBuzz. I built more of a private FB community around it and hired a few VA’s who are bloggers in the running space and try to post 2-3 times per week. Growth is slow. 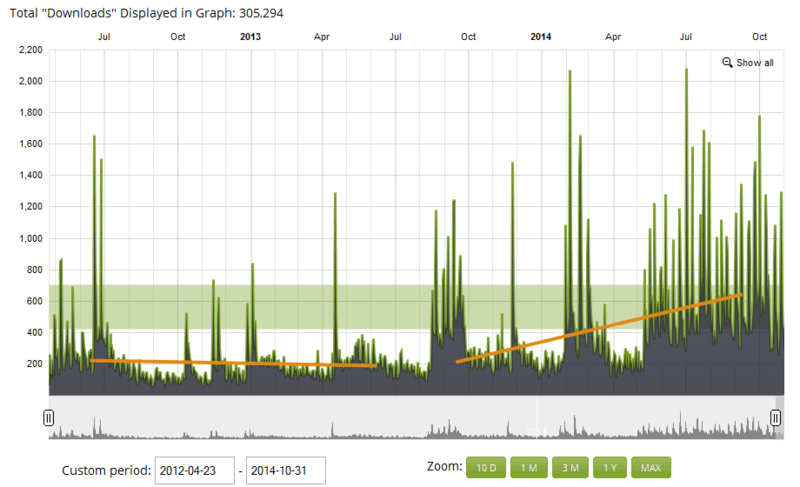 Downloads in 6 months has been growing slowly but way ahead of my original podcast. I am reworking my service offerings based on feedback from my FB community and should know by 1st quarter next year if my offering better matches my audience. In my case I found and been told by my listeners is that have lots of time to learn from podcasts during their runs that they really do not feel the need for informational products and seek more services … So I am pivoting a bit and hope that I can start getting some sales from my podcast audience. I have seen barely any traffic come in from my podcasts as most of my traffic comes from blog articles listed in Google. What has worked is getting people from the podcast onto my private FB group and list and that has been huge building engagement and Trust that hopefully will be interested in services once completed. Keep up the great work guys I love your show! Thanks for sharing your story Steve! Very interesting that the podcast is working to drive the growth of your FB and list. Best of luck! Great update Spencer. I am delighted to see the results that you’ve shared. I agree with you’ve written here. Definitely, at least 70% of those who listen to the podcast forma completely different audience from those who will routinely visit your site. I think you have a great plan for moving forward. I wish you continued success with all your online efforts. Just wanted to tell you that the new site design is great! Nice and clean. I will continue looking forward to your podcasts and reading the blog! I really like podcasts, but obviously not everyone does. Pat at Smart Passive Income does a really good one as well, in my opinion. I can say that I would never have found you without your podcast, and I almost only listen to the podcast still. 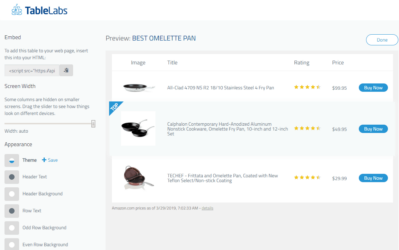 And I have bought Long Tail Pro (just got Platinum yesterday), Rank Hero links and EasyAzon (through your link), so you have made money from it, at least from me. I listen to about 10 different entrepreneur podcasts, and I can honestly say that I like yours to most, it’s the one I look most forward to each week. It feels real, authentic and honest. I have listened to Pat Flynn in the past, but I’ve gotten really tired of it – it just feels like too much sales. He adds a ton of intro and outro (sometimes like 10 minutes) and a little bit of real content in the middle. 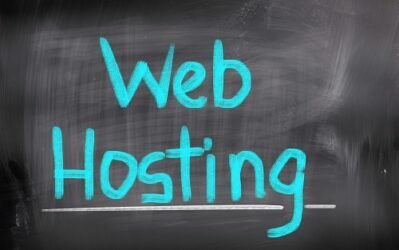 I just can’t stand it, and I’d never buy one of the web hosts or whatever he stuffs in each podcast. Your way of “selling” has been discussing a few really good products in many episodes that you actually use (and have not just “tested” ones or twice) within your business, which has made me interesting. And it has made me spend more money on your products than any other blogger/podcaster. Stuffing each podcast with something just makes me tired, not interested in buying it. Anyway, those are my thoughts! Thank you for a really good podcast. Thanks Rasmus…the feedback on the podcast is very much appreciated! Thanks for listening!